Chantelle Gray live at The Window, an evening of experimental music, performance and visual art at the Theatre Arts Collective, Observatory, Cape Town, 29 January 2017. Chantelle’s movements are captured by a 3d motion sensor and translated live into controller data for a musical piece written in Supercollider by Aragorn Eloff. Live non-verbal improvisation performed in absolute darkness, interacting with a cellphone recording from the day before, at The Window, an evening of experimental music, performance and visual art at the Theatre Arts Admin Collective, Observatory, Cape Town, 29 January 2017. — Jacques Derrida, unpublished interview, 1982, reproduced in David Toop’s Into the Maelstrom: Music, Improvisation and the Dream of Freedom: Before 1970, Bloomsbury, 2016, pg 21. Join us! More details HERE. Dedicating my performance to Mark Fisher, who took his own life the other day. His brilliant work, particularly this blog post on hauntology, has been profoundly influential on how I understand archive and aspire to use sound. I’m so sad he is gone. 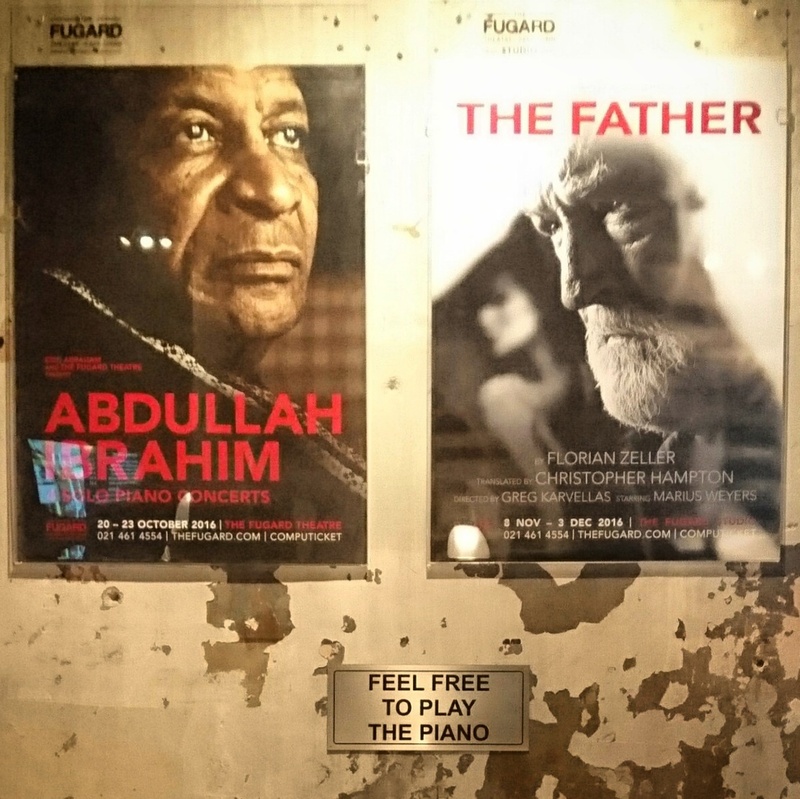 My kind friend Anwar gave me a ticket to Abdullah Ibrahim’s solo concert last night at the Fugard Theatre. It was the quietly incandescent performance of an old man who has been so far and seen so much, whose heart remains rooted in this troubled land even as it hurts to be here, even as his fingers know he doesn’t have forever. His playing held such sorrow, yet such peace, and playfulness, too. Refusing easy resolution, defiantly free as ever. We imagined afterwards how incredible it would have been if the whole performance could have been broadcast live on loudspeakers, into every roiling corner of this country, for everyone to hear it simultaneously. A lament. A hymn. A balm. A lesson. Beyond the span of words’ expression. Please join us for an evening of experimental live music hosted by the Edge of Wrong and featuring performances from pianist Coila-Leah Enderstein, electronic musician Daniel Gray, noise maestro Justin Allart and movement-based composition artists Aragorn23, Chantelle Gray and Amantha. Entrance is pay-what-you-can (recommended donation R50) and you can bring your own refreshments. Please make sure you arrive by 7:30 to minimise disruptions during performances. 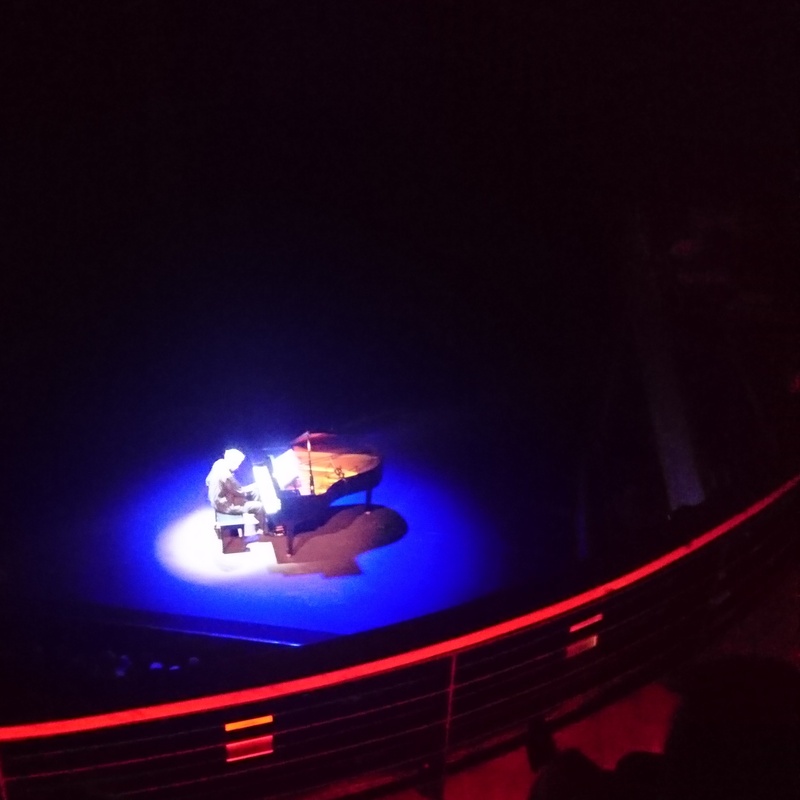 Coila-Leah Enderstein is a classically trained pianist based in Cape Town. She’s into in experimental new music and interdisciplinary performance. daniel gray is an artist from johannesburg and now lives in cape town. he is currently working as a high school maths teacher. he is interested in sound as image, dreams, collective improvisation and chance processes. in 2014-2016 he released an audiovisual album called “fantasmagoria”, a noise/peace album called “mssapessm”, took part in GIPCA live arts festival, performed around cape town, formed the now defunct subdwellers dj collective, started primitive ancestor records – a net label, to name a few of the many noisy endeavours. this will be the third edge of wrong event that he has participated in. Justin Allart is a highly prolific experimental/noise musician who performs using a motley array of non-musical instruments. Expect sandpaper on turntables and effects pedals talking to themselves. Aragorn23 is an experimental musician based in South Africa. His current work focuses on algorithmic and gestural composition and the use of the body as an instrument. He will be performing alongside collaborators Chantelle Gray and Amantha on the evening.